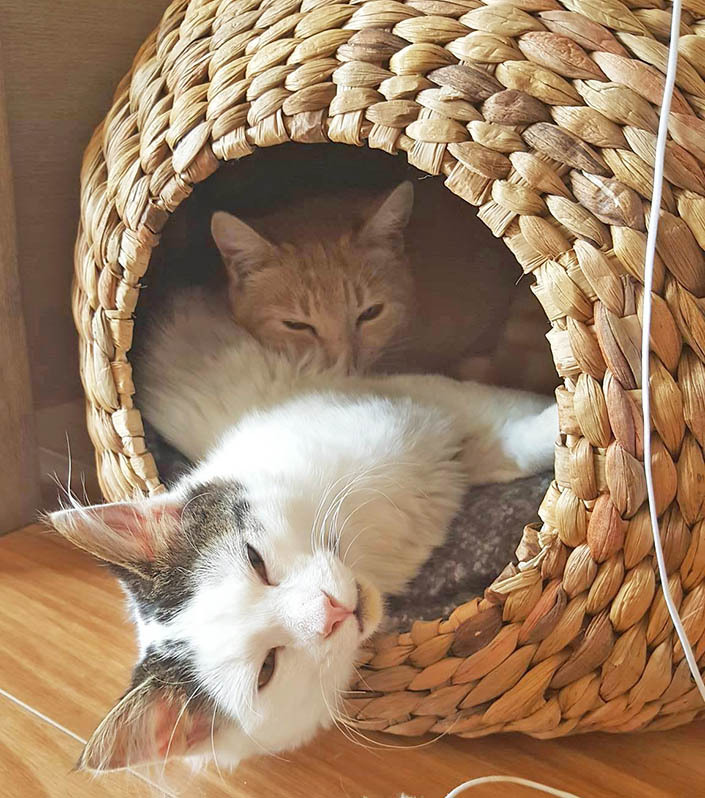 Adopters are loving people who offer a home and second chance to an animal in need. In fact, some adopters have so much love to share that they leave us with not one, but two, shelter pets! 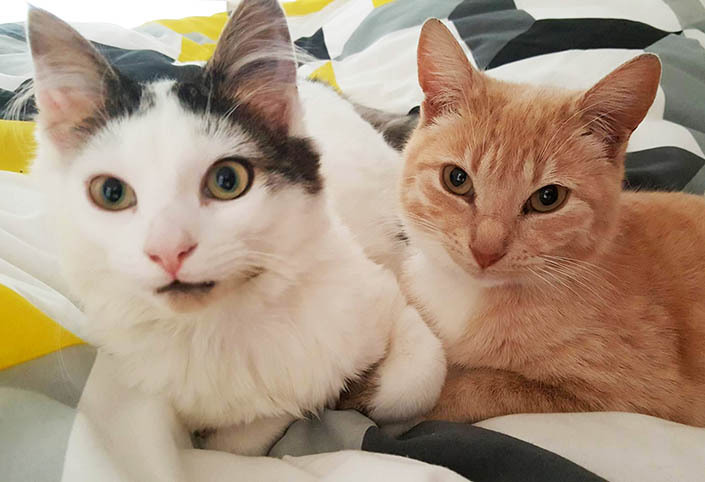 Reannon and her partner recently visited our North Melbourne shelter to adopt a pair of cats. It was there that they met Hamish. They knew Hamish was meant for them, but their family still wasn’t complete. “As soon as we saw Hamish we fell in love with his playful nature, but we wanted him to have a friend,” said Reannon. Reannon and her partner had their hearts set on adopting from a shelter. 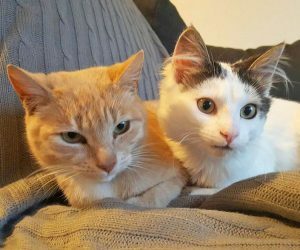 Through welcoming two shelter cats into their home, they’ve been rewarded with double the love and purrs! “My partner and I have always wanted to adopt. For us, adopting Hamish and Zoe was just the right thing to do, especially when there are so many animals looking for their forever home,” said Reannon. Hamish and Zoe adjusted to our home in an instant. In fact, they own the house, they just don’t pay the bills. “Hamish loves to play with his toy mouse, he drags it around everywhere with him. He also likes sneaking up on Zoe and playing with her. “Zoe loves cuddles. It doesn’t matter where Zoe is, if she hears us sit on the couch, she jumps onto the couch and snuggles up to you. Did you adopt your pet from The Lost Dogs’ Home? We love sharing your adoption stories to help show the community why shelter pets make great pets. Click here to submit your story.